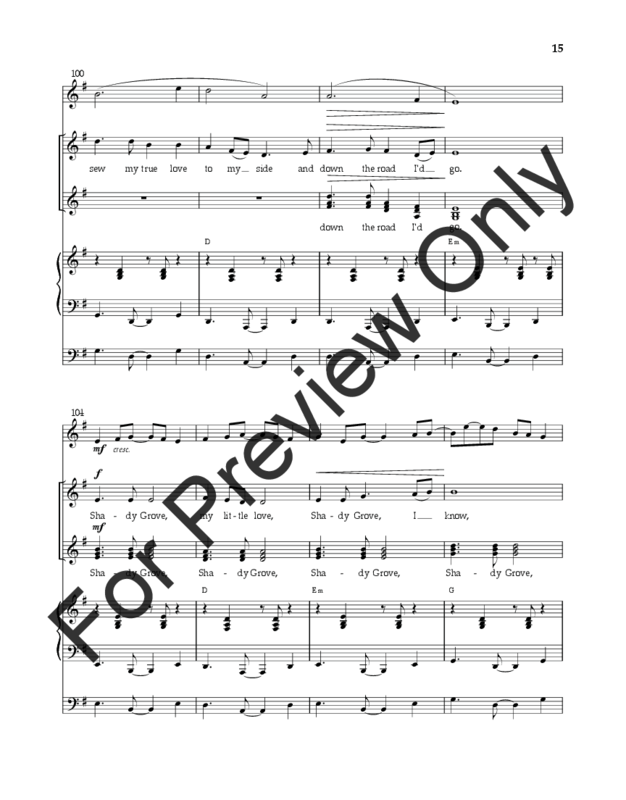 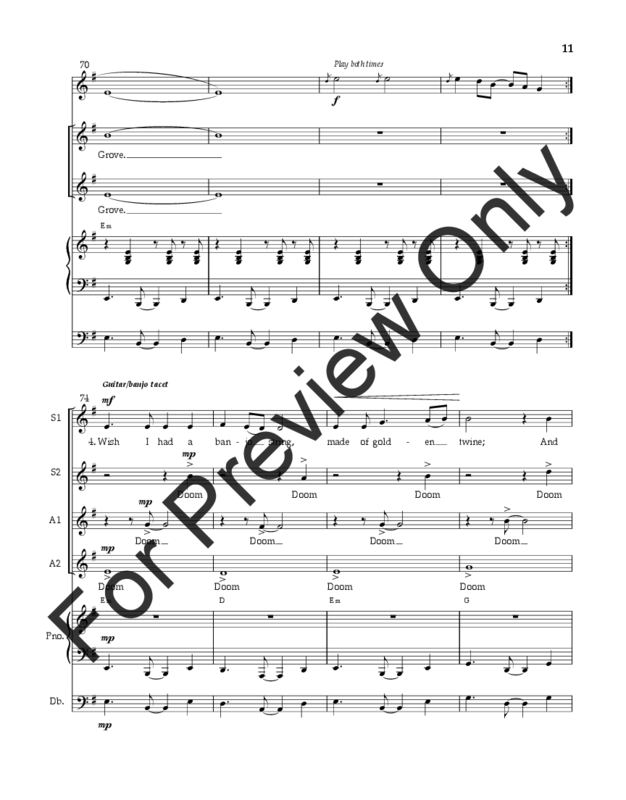 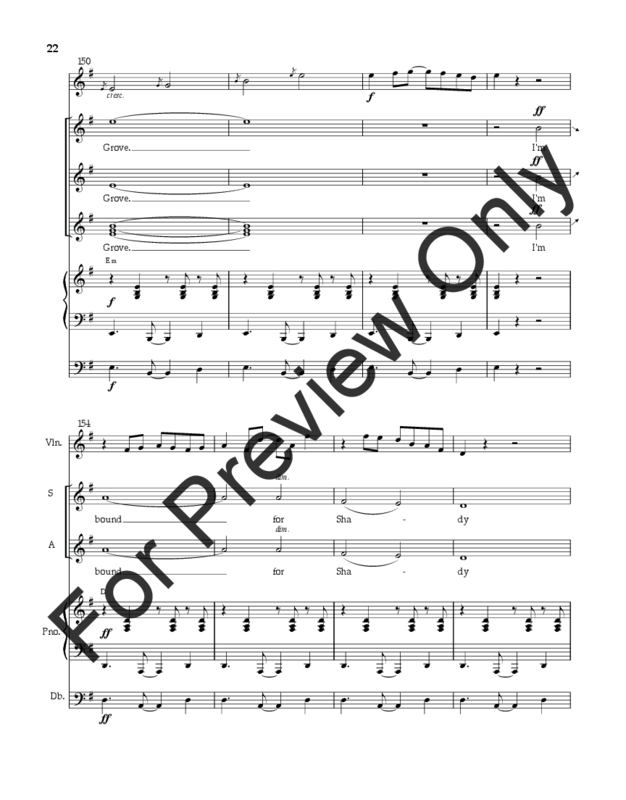 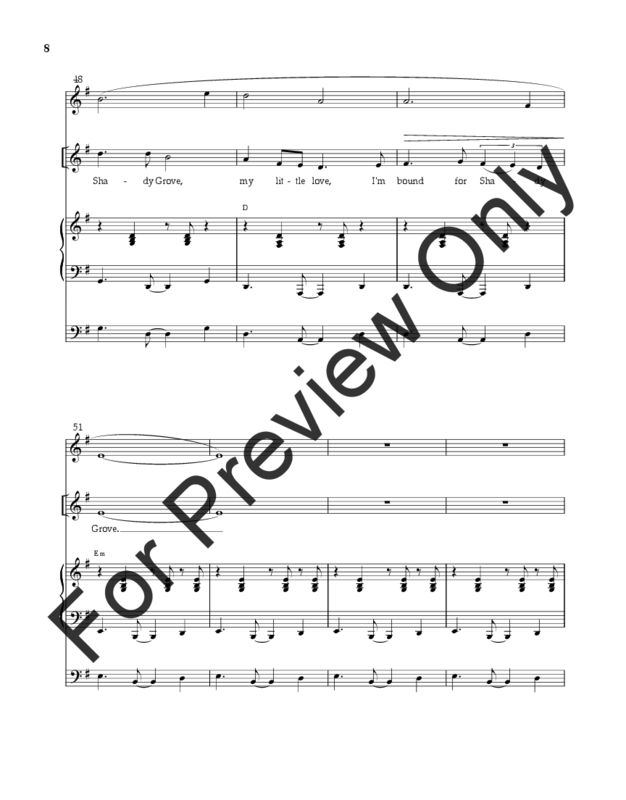 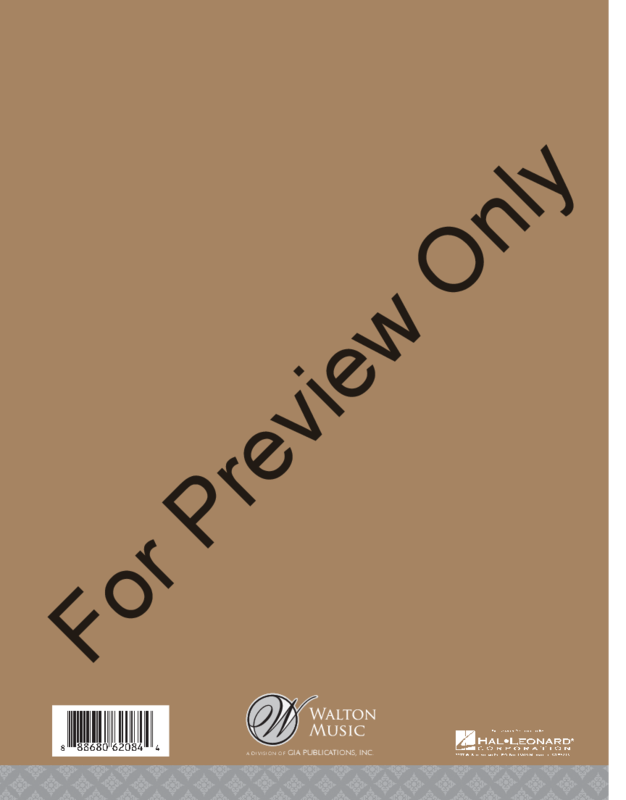 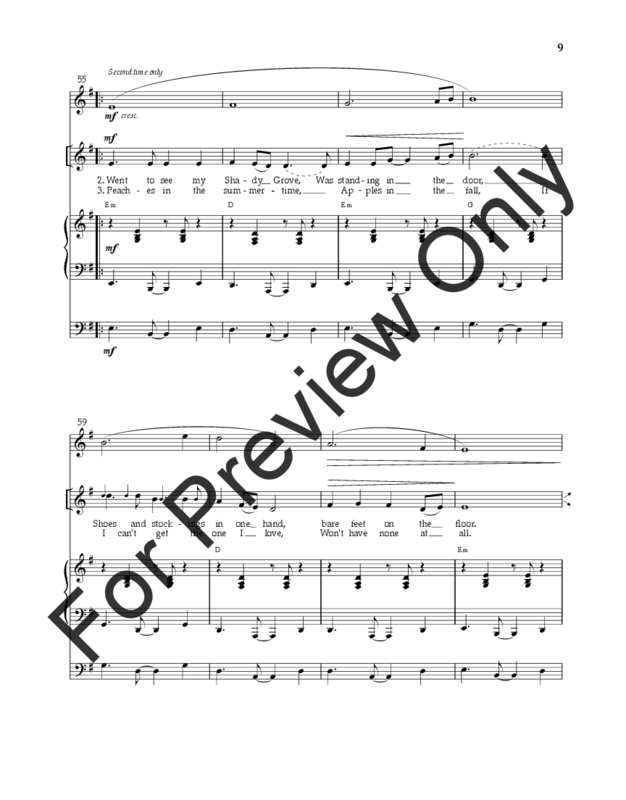 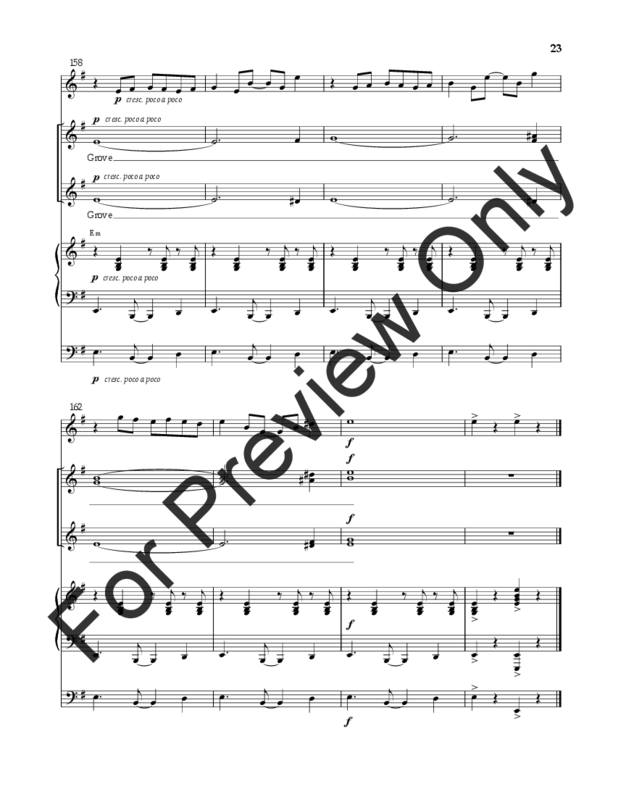 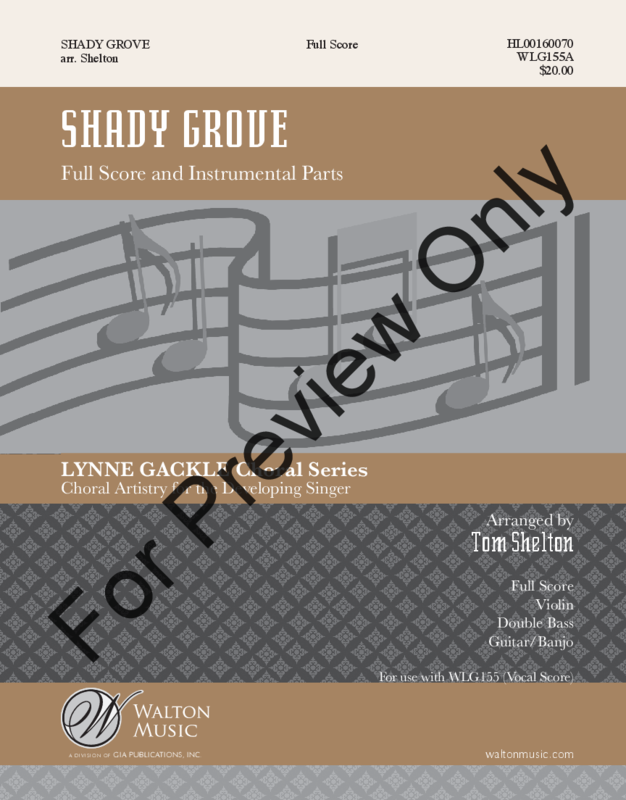 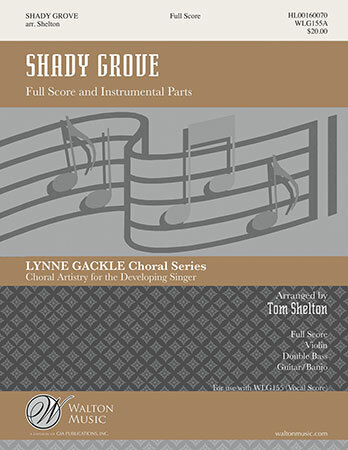 "I'm bound for Shady Grove..." This sparkling arrangement of the beloved bluegrass song offers a rich experience for combined choirs, children's honor choirs and community groups! It may be performed with piano only or with the additional bluegrass instrumentation for violin, double bass, guitar and banjo. It's tremendous fun!